Open to the Public! 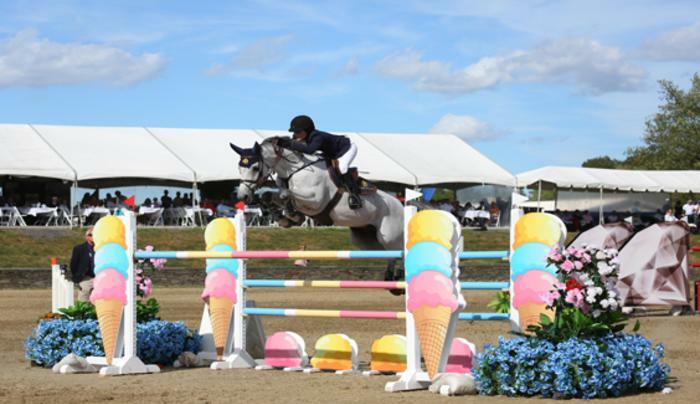 The HITS Saugerties Show Series welcomes equestrians for eight weeks of hunter/jumper horse shows from May–September. 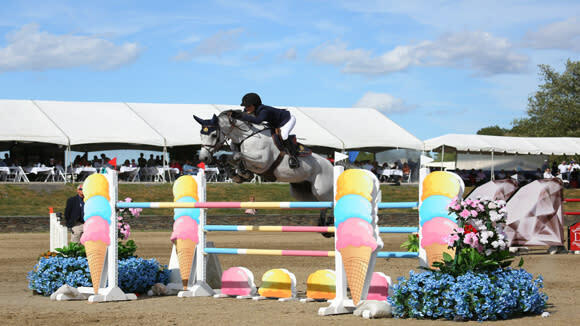 The series offers $3 million in prize money, bi-weekly Grand Prix, qualifiers for the HITS Championship, USEF Premier and National-Rated Hunters, 5* and 6* Jumpers, and the new LEGEND VIP Club. The majestic Catskill Mountains provide a sweeping backdrop to this exciting series, which has made its home at HITS-on-the-Hudson since 2004. In the fall, the HITS Championship caps the HITS Saugerties Series with hunter and jumper finals and the Saugerties $1 Million Grand Prix, now an FEI CSI5* class. Visitors can enjoy supreme show jumping competition every Wednesday–Sunday, 8am to approximately 4pm. Shop on Vendor row and grab food and beverage on the show grounds. Grand Prix events take place at approximately 2 pm every Sunday, as well as select Thursdays and Fridays. Call the show office for more information. Admission: No admission charge Wednesday through Saturday. On Sunday, General Admission tickets are $5. Children 12 and under are free.